The photo of Red Flower Petal Wallpaper is taken by g2k2007. You can also check another nice wallpaper by the same photographer. 2560Ã—1600 pixels ; resize if needed. It is a JPG download, the file is 2.7 MB in size. This Article Has Been Shared 5442 Times! 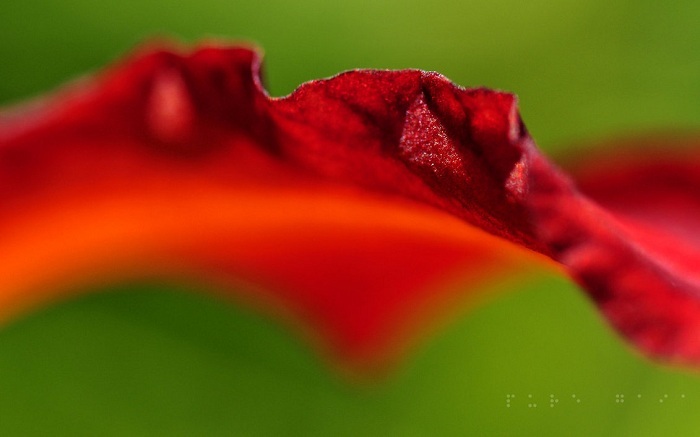 Cite this article as: Abhishek Ghosh, "Red Flower Petal Wallpaper Pure Gaia : A Brilliant Wallpaper," in The Customize Windows, February 21, 2012, April 24, 2019, https://thecustomizewindows.com/2012/02/red-flower-petal-wallpaper-pure-gaia-a-brilliant-wallpaper/.